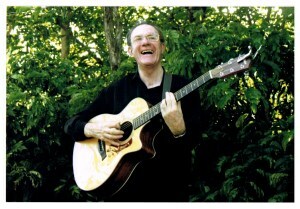 Mark is a local singer-songwriter best known for his storytelling songs. Audiences will be familiar with his songs “Dancing Down the Isle of Skye”, E.B.” (about Eric Bibb) and “Dance-Time Susan”. But there are other sides to this artist. In his set at The Bug he will include some new material, portraying a new dimension to his writing. This performance then, will be a mixture of the familiar and not-so-familiar. He’s game, if you are! Take a risk! Mark will be joined on some numbers by Terry Jacob on fiddle and Accordion and by Mary Brettell on guitar and backup vocals.